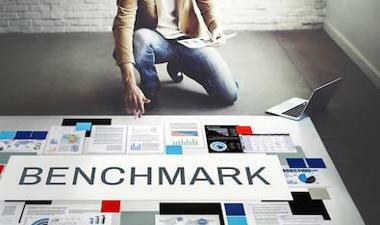 The second version of the benchmarking exercise has now opened. We welcome participation from groups all over the world to contribute modelling predictions to this exercise. Five years ago, we felt the need for an in-depth investigation of available strength models for unidirectional composites. Many good models have been developed, but there is currently no successful way of comparing them to each other. We therefore set up the first benchmarking exercise on longitudinal tensile strength models for unidirectional composites, jointly organised by KU Leuven, Imperial College London, Mines ParisTech and the University of Southampton. This exercise led to significant new insights in the benefits and drawbacks of the three models that participated, and how their assumptions influence the predictions. We also identified key areas for improvement in the experiments and models. These results are currently in submission, and will hopefully be published soon. You can already find a sneak preview of the results in our ICCM21 paper, downloadable from https://tinyurl.com/benchmpaper. To establish benefits and drawbacks of the different approaches. To establish gaps in literature and aspects that should be improved in the future. To provide a platform for researchers in this field to exchange thoughts and concerns. This will be achieved by comparing the models against each other, but also against synchrotron radiation computed tomography experiments. The comparisons will therefore not just be based on failure strain or strength predictions, but also on the development of fibre breaks and clusters of fibre breaks. If you are interested, then please confirm this via email to Yentl Swolfs (yentl.swolfs@kuleuven.be) by the 7th of March 2018. We also look forward to receiving any questions, remarks or concerns. Instructions for the second international benchmarking exercise on longitudinal tensile failure are now available! Several models for predicting the tensile response of unidirectional composites are available in the literature. 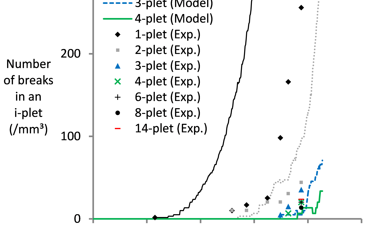 Each of these models is based on a unique set of assumptions, and formulations vary significantly across the different models. The idea of this exercise is to compare the predictions of different models, not only with each other but also with experimental data. This comparison will focus on the tensile strength and accumulation of fibre damage in unidirectional composites. 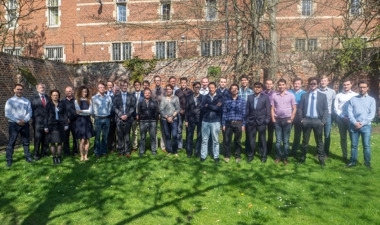 The FiBreMoD kickoff week has just ended and was very successful. We had 30 people present from 11 different partners, and our researchers met each other for the first time.